No previous Chinese experience is necessary as students of all levels of proficient are equally welcome to apply. Chinese courses are taught in a small classroom setting to give students ample opportunity to practice the Chinese that they learn. This ensures the quickest improvement of your Chinese. Designed and organized specially for students aiming to pass the HSK, Heilongjiang University's International Institute of Education and Culture has designed intensive training courses for HSK levels 4, 5 and 6. This course explains the content of the exam in detail, analyzing the types of questions that the student will face in a short period of time The students learn to master the nuances of the exam. Our courses will comprehensively improve students' exam taking abilities and ensure that the exam is passed in the shortest time possible. The course is generally take for a semester or more. Every summer in July or August, Heilongjiang University organizes a 4-6 week short-term language program. In addition to language classes, the university organizes fun extracurricular activities which Chinese college students also participate in, aimed at giving students a look into cChinese culture and life. This program is suitable for language students at any level or Chinese enthusiasts looking to learn more. 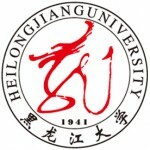 Heilongjiang Province Scholarship Program (bachelor's degree, master's degree, doctoral degree). International students can be awarded full or partial scholarships.